Hear that? It's rural America's sprawling masses roaring their approval for Nintendo's latest 3DS update, allowing North American owners to exchange StreetPasses for games via one of the country's more than 29,000 Nintendo Zone locations instead of sitting in the empty mall cradling their console and crying. 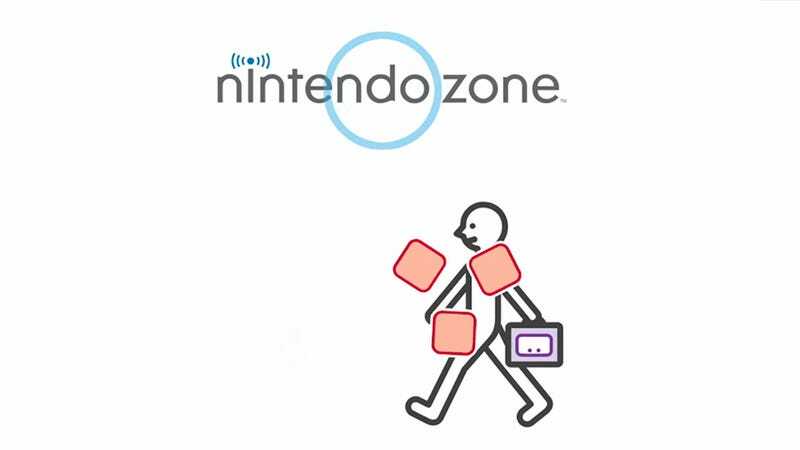 Living in the suburbs myself, I only get StreetPasses at major events, so I am thrilled to learn I'll now be able to contract StreetPasses like some sort of happy disease from locations like McDonald's or Starbucks — wherever a Nintendo Zone is found. Visitors to these locations will leave their info hanging about, and the next folks to come along will walk right into them like spiderwebs, sticky and pleasing. There's a video explaining how this all works over at Nintendo. Let's just say StreetPasses are going viral, and North america is now connected in a giant, undulating, sweaty, naked mass of 3DS owners. There is glee here.